Foji Gill is a Birmingham based award-winning singer, who has been commended for his unique video concepts and won ‘Best Male’ in 2014. 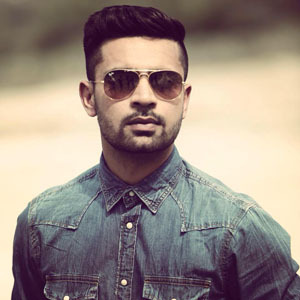 He first rose to fame in 2010 with his hit single ‘Dafa Hoja’, which featured top selling Punjabi female vocalist, Miss Pooja; this release was closely followed by ‘Bruah’. Foji’s other releases include ‘Pumbeeri’, which had a flash mob style video, ‘Whatever’ features the evergreen vocals of Sudesh Kumari and featured Deana Uppal and Tommy Sandhu in the video and ‘Mentah’ which provided another unseen video concept , however, this time it was not just a Bhangra first, but a music industry first, it had a cartoon animated character! Foji kick-started 2015 with his single ‘EK Peg’ produced by Ravi Bal. Foji delivers electrifying performances, which consists of a PA and Live set and with singles like ‘Pumbeeri’, he is sure to get your guests/crowd involved! Nesdi Jones is a young singer, songwriter and rapper born and raised in North Wales, who was awarded ‘Best Newcomer’ in 2014. She began singing in a local church at the tender age of five as a soloist and then got into Classical Soprano. At the age of 17 Nesdi moved to New Delhi and began to sing in Hindi and Punjabi; she began this by doing YouTube covers. This led her to become recognised by Honey Singh and in 2014, Nesdi went on to release her chart topping debut single ‘London’ with Honey Singh and Money Aujla. Labelled by her fans as the ‘Desi Gori’, Nesdi has so much energy on stage and her enthusiasm shows through her performance. Nesdi will fuse Eastern and Western genres together to fulfil everyone’s taste and provide a unique performance. Sarika Gill is an award winning UK born and bred Punjabi singer who was exposed to a variety of music from a very young age. At the age of five, Sarika developed a passion for singing and dancing, which led her to sing in English, Hindi and Punjabi. She went on to study Music and Performing Arts and is trained in several areas of dance including Ballet, Bhangra, Contemporary, Giddha, Hip Hop and Jazz. Sarika has released several singles with many talented UK and international producers including Desi Crew, DJ Raj, Jeeti and K-Singh. As well as performing her hit singles at melas, weddings and several other events, she also has an exclusive set catered for ladies sangeet whereby she sings all the old classics by the likes of Ranjit Kaur and Surinder Kaur and for the jagos she is accompanied by giddha dancers for a complete desi jago experience! Preet Singh may be familiar to you from 2009’s ‘BritAsia Superstar’ where he went on to compete in the semi-finals. Whilst in the competition, Preet received the opportunity to meet Tru-Skool. Tru-Skool took Preet under his wing and gave him further training; this led onto Preet releasing his debut single entitled ‘Oxford’ featuring Kaos Productions. He went on to release two further singles which were produced by the music man Jeeti. Despite this young talented singer not having many singles of his own, he is sure to entertain your guests/crowd by performing classic dancefloors anthems!